How much are weekly swim lessons? We believe in and strongly encourage year-round swim lessons. Ongoing swim lessons provide families with a consistent day & time until they choose to make a change. This results in a much better overall swim experience for both students and parents. When learning to swim, year-round consistency of swims is more important than frequency. Put simply, a swimmer will make more progress swimming 1x a week over 12-month period than they would swimming 2x a week over a 6-month period. Our tuition for 1 lesson per week is $99 per month (4 classes). The fee will be adjusted for months where you receive 3 classes (due to a holiday closing) or for months where you receive 5 lessons. If you sign up in the middle of the month, we will prorate your tuition. We charge an annual membership fee of $34 per child (max $50 per family), due at registration. This fee will be renewed annually on January 1. When you first enroll in classes, each student will receive a FREE Propel Swim Academy bag, swim cap, and car magnet! 1.) Automatic debit from a checking or savings account. 2.) Automatic debit from a Debit/Credit Card. 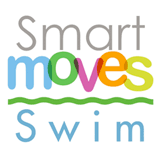 Our monthly fee will be deducted from you account on the 1st day of every month for the upcoming month’s swim lessons. Do you offer family discounts for multiple children? YES!!!! We offer family discounts!! Families with more than 1 actively registered swimmer will received a 10% discount on the monthly tuition for the 2nd swimmer and a 15% discount on any subsequent swimmers! Can my child swim more than one time per week? Yes, repetition is the key to learning how to swim. While your child will progress with 1 lesson per week, swimming more often will speed up their skill development. The second lesson will be given at a 15% discount. Can you honor a request for a specific instructor? We understand that parents and students get attached to their swim instructors. We believe all of our swim instructors are AWESOME!!! We are continuously making decisions as to the best placement of instructors to ensure the best possible lesson for everyone involved. We also realize that different students respond to different teaching personalities; we try to accommodate when possible, however we cannot guarantee a request for a certain teacher. We often find that having a variety of teachers as your child continues through our program promotes self-confidence and encourages overall growth. How do I change my child's class due to a schedule conflict? To request a schedule change, use our Schedule Change Request Form. If there is a class immediately available during your requested times and at your child’s level, we will be happy to accommodate! Sometimes it can take time for a class to open up so please keep this in mind. Please note, we can not guarantee the same instructor, but we will do our best. How do I know what classes are available? You can see all available classes by accessing our Booking Software and choosing ‘See Schedule’ on the homepage. Remember you will need an Evaluation prior to registering for any class above our Seahorse (beginner) level. Each lesson in our Learn to Swim program is 30 minutes, our last two Stroke School classes are a little longer. Barracuda is a 45 minute class and Mako Shark is a 60 minute class. You qualify for our family discount!! See our Class Fees page for more info. We try our best to accommodate families with more than one student. We offer a variety of classes for different ages and abilities to make it easier for families to schedule times together. We do offer private lessons, but only for very specific situations. We are strong proponents of group lessons and believe most children grow & learn best in this environment. Private lessons are $60 per half hour and need to be arranged by the Operations Manager. If you have a swimmer with special needs, we would love to help you determine whether group or private lessons is the best fit for your swimmer’s goals. 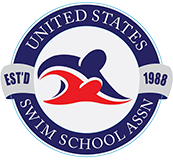 We have instructors who have experience working with individuals with special abilities so feel free to call or stop by the school so that we can help you select the best learn to swim environment for your swimmer. We adjust our class sizes according to developmental levels. For specific class sizes in each level, please see the individual class descriptions in Our Programs. Should I pull my child out of class/or intervene if he/she cries? No, we believe that abruptly removing a child from a lesson will only reinforce any anxieties or fears the child may have. As with any new activity, it will take most children some time to get acclimated and comfortable in the water and with the instructor. Developing a bond of trust with the instructor takes time! Patience, positive reinforcement and lots of encouragement from Propel Swim Academy staff and parents will help all children to become more comfortable with their surroundings and to develop a love for the water!!!! Is there any other time to come to practice with my child outside of lessons? Free Family Swim is offered twice per month on the second and last Sunday of the month. This is a fun time to enjoy with the family and practice skills! For more information, visit our Family Swim page under Our Programs, or sign up for Family Swim here. We also offer STROKE CLINICS beginning in May and run through the summer. You can find available dates and times under the “Our Programs” dropdown on our website. Registration is available online!!! Why should every child swim year round? • Your child is continuously growing and skills change with different body proportions. 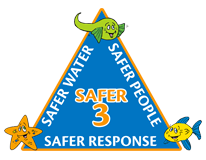 • Regular practice ensures that your child remembers safety skills and stroke techniques! • Movement is essential for optimal physical, emotional, social and cognitive development. There are many studies that now show how swimming accelerates brain development and has a long term positive impact on a child’s learning. • Swimming focuses on the whole body which then improves health, strength and coordination. • When a child has a structured, consistent, whole-body movement activity such as swimming, they learn self-control, goal setting, listening skills and self-respect. 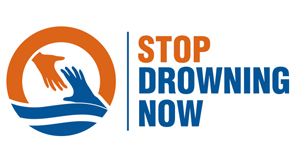 • Drowning can occur anytime, not just in the warm weather. • Swimming is a gift you can give your child that last a lifetime!!! How do I get in touch with my child's instructor? Our teachers do not have time during their shift to speak with parents, but we feel that asking questions and communication is very important. 1.) We always have a Deck Manager on the pool deck during lessons; if you have an immediate question, please ask your child’s Deck Manager and they will answer or get back in touch with you. 2.) Fill out our Parent/Instructor Communication Form. Every student will learn skills at different rates. You should never look at another student wonder why your student is taking longer to master a skill. Learning to swim takes time, patience and lots of practice. The Instructors look for mastery of specific skills in each level before recommending the student move to the next level. Once they are ready to advance to the next level, the Deck Manager will notify you and your student. Your child will receive a card with a list of completed skills and which level they should register for next. Your student can pick up their CELEBRATION RIBBON at the front desk; be sure to have your student go to our Celebration Corner and ring the bell so that everyone can celebrate with them! Don’t forget to take a picture! This is our MOST frequently asked question! Every child is unique and wonderful with varying swimming abilities. There is no set time it will take a student to learn to swim; even children in the same family will learn at different rates. At Propel Swim Academy, we believe consistency & frequency (at least once a week) are the keys to swimming success. Because we feel so strongly about swimming consistently & frequently, we also offer FREE Family Swims! Please check our website for dates and times. Why is my child not progressing? As with all learning, children progress at different rates. We expect your student to move through each of our levels at a different rate. Don’t ever be discouraged! Speak with our Deck Manager to see what skills your child should focus on; coming to our free family swim to practice, adding on an additional swim day, or attending a swim camp can also speed up your student’s progress. Speak with our Deck Manager about scheduling a Supplemental Private Lesson to get some 1-on-1 time to work on a particular skill! What are your facility policies & procedures? Food, drink and street shoes are not allowed on the pool deck. This is a health regulation and we strive to keep our facility as clean as possible. If you plan to watch from the deck or shower your children, please bring pool shoes with you. We so appreciate your cooperation and understanding! Our insurance requires a responsible adult to remain on the Propel Swim Academy premises for the duration of your child’s lesson. Parents are responsible for their child before, during and after the lesson. Parents may watch from either of our parent viewing rooms or you are welcome to sit inside the pool area and watch from one of our benches. We ask that if you have siblings with you that you DO NOT watch from the pool deck. We have a great play area for siblings that is safe and within the viewing room away from the water. No strollers allowed on deck. Please leave your stroller in the lobby, changing area or parent viewing room. This is again in an effort to keep outside contaminants off the pool deck! If your child is over the age of 5 (five) they need to use their gender specific restroom. However, we have a family restroom that is non-gender specific located in the changing room area. While it is large enough to change in, we would appreciate it being use only as a family restroom. How do I know if Propel Swim Academy is closed due to inclement weather? We will notify you via our Facebook, Instagram or email if we will be closed due to inclement weather. There may be times that we are closed in the morning, but not in the afternoon, so please be sure to check for updates. If we are closed due to inclement weather, we do not offer refunds or make-up classes for the first closed day in a single winter season. If there are two closings of any particular day (i.e. two Tuesdays are closed due to inclement weather in the same winter) we will provide a refund for the second day in the form of a credit to your account. 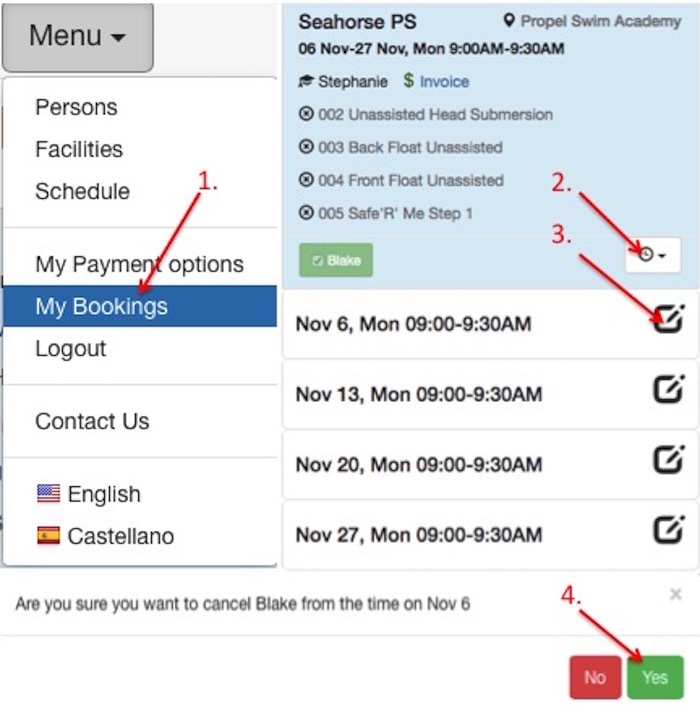 If we are open, but you decide that it is not safe for your family to travel, you can log in to your Parent Account and mark yourself Absent from the class so that you earn a Make-up Credit! Stay Safe! What kind of Swim Diapers should my child wear? In the interest of the health of all our swimmers and staff, we have a policy that requires all children under the age of 3, or those not toilet trained, to wear 2 swim diapers (a disposable swim diaper and 1 reusable) during their swim class. What is your Holiday Closing Policy? Propel Swim Academy will be closed for various holidays throughout the year. In the event of a holiday closure, your monthly fee will be prorated to reflect the missed lesson. Check in at our Front Desk, where you will be greeted by a member of our Customer Support Team and they will show you how to check yourself in at our Self-Check in booth. Check out the monitors located in the lobby or in the Parent Viewing Room to see where your child will be swimming!! If your child is over 6, they can walk to their class on their own at the appropriate time. Each child has a spot on his or her lane to sit and wait until it is time. Please remember your child is your responsibility until class begins. There are NO street shoes allowed on deck. We realize this is a hassle, however this is a Loudoun County health regulation and unfortunately not an option for us. Where do we shower & change our students? Our showers are conveniently located on the pool deck near the big pool. Showers are equipped with soap, so if you wish to shampoo, please bring your own. Please exit through the double doors directly into the family changing area. Showers are only located on the pool deck. We have one family restroom, a women’s restroom and a men’s restroom. Children 5 and up must use their gender specific restroom. If this is a problem, please use the family restroom. What happens when we miss a class? What is the make-up policy? Please Read Carefully: We have a unique way of processing Make Up Lessons! At Propel Swim Academy we know that children are most successful in a consistent, structured learning environment. However, we understand that kids get sick, parents get sick, and that in general, life happens. So, realizing these things, Propel Swim Academy is happy to offer Unlimited Make-Up Lessons for our regular, weekly swim classes! Here at Propel we handle makeups a differently than anyone we know! In fact, we really don’t handle makeups at all…YOU DO! Our make up system is designed for complete self-service. Make Up Lessons can be scheduled through our Parent Portal, but you will only be eligible for a Make Up if you cancelled your child (through your Parent Portal) BEFORE the original scheduled class time. Also, Make Ups can only be scheduled in a class spot that has been previously cancelled by another family. At Propel, make up lessons require a community effort! Make Ups are only available in spots that other existing families have cancelled. So think of it as good karma to be diligent about canceling your children from classes they won’t be there for! By doing so, you are opening up a spot for another family to schedule their Make Up. If everyone works together, there will be more than enough Make Up spots for everyone! You can find a quick video guide to using our Make Up System, provided by our software developer here. Overuse of rescheduling negatively affects classes and your child’s progress. Please honor the spirit of this privilege and use make-ups for illness and serious conflicts only. See the below FAQ’s to find out how to make sure your child is eligible and how to schedule your Make Up! Make Up Lesson credits must be used within One Year (365 Days) of the missed class. A Make-Up Credit should not be confused with a Free Class Credit. We provide Make-Up Credits so that swimmers have an opportunity to make up the skills and activities in the class that they missed. Even though your credit is valid for 1 year, your make-up credit must be used to make up the class type that your swimmer missed! This means if you miss a Pufferfish class, you get a Pufferfish make-up regardless of the class level your swimmer is in at the time that you do your make-up. If you can’t find a Make Up Lesson that works for you, coming to our FREE FAMILY SWIM is a great way to get some extra practice! Make Up Lesson availability is not guaranteed. We do not offer Make Ups for weather-related closures. How do I make sure my child is ELIGIBLE for a Make Up Lesson? For a full, video guide to using our Make Up System click here. In order to be eligible for a Make Up Lesson, families MUST cancel their children from the activity they wish to make up BEFORE the scheduled time. 4. Answer ‘Yes’ when prompted and you are eligible to make up that class! Okay, now that my child is eligible for a Make Up Lesson, how do I SCHEDULE it? 2. If you are eligible for a Make Up (i.e. have already cancelled for a particular day) you will be able to see the available times to book in your Make Up Lesson! If there are no makeup classes available when you check, please keep checking back! Makeup spots become available as other families ‘cancel’ themselves from their classes, so you never know when a spot will open up! A Make-Up Credit should not be confused with a Free Class Credit. We provide Make-Up Credits so that swimmers have an opportunity to make up the skills and activities in the class that they missed. Even though your credit is valid for 1 year, your make-up credit must be used to make up the class that your swimmer missed! Please note that once a Make Up Lesson is booked it cannot be changed. There will be no Make ups for Make Up lessons available. 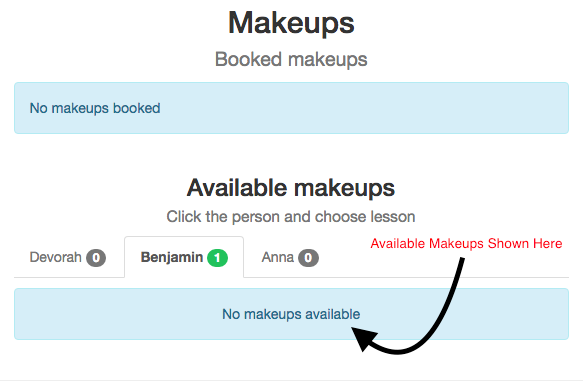 Once you book your spot, it becomes unavailable for other families searching for a make up. So to be fair to other families, make sure you are going to be able to attend the Make Up Lesson you schedule! Unfortunately, I need to withdraw my child from swim lessons. How do I do this? If you need to withdraw your swimmer, we require notification by the 15th of the month prior to to the month that you wish to withdraw. For example, if you wish to stop your lesson in May, you need to provide written notice before April 15. By withdrawing, your child(s) will be removed from their swim class. Written notice is required for withdrawal. You may send an email to info@propelswimacademy.com or complete a WITHDRAWAL FORM. Verbal withdrawal notifications are not valid. You will receive an email verifying that we have received your request. Accounts are charged on the 1st of the month. We would love to have you back at anytime! Please note that if you are away for more than 3 months your child will need to be re-evaluated prior to returning, as skill regression can occur in a short time period! Our Membership fee will be waived if you are returning in the same calendar year. Privacy Agreement: Propel Swim Academy will protect your privacy by not sharing your email address, cookies, or IP address with anyone. All forms stay with us.